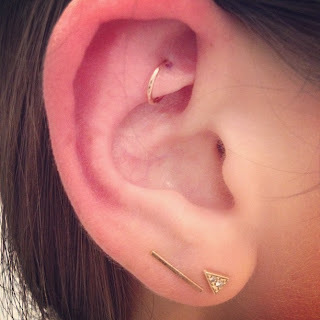 Rook piercing w/ 18k yellow gold + complementing mociun and brvtvs flat bar earrings. I actually love the simplicity of your work!!! I wish there was more piercer;s like you in London.